In this issue of JointHealth™ monthly, Arthritis Consumer Experts introduces you to the little known rare forms of arthritis. Though star tennis player Venus Williams brought one form to the limelight when she was diagnosed with Sjögren’s syndrome last year, they remain under-diagnosed and not well understood. You may have heard of osteoarthritis and rheumatoid arthritis since there is a good chance you or someone you know lives with one of the two diseases. But have you heard of lupus, Sjögren’s syndrome, scleroderma, polymyositis, dermatomyositis, or systemic vasculitides? They are six rare arthritis types that are grouped together because they share symptoms, treatment, and complications. Collectively, they are called systemic autoimmune rheumatic diseases (SARDs). In British Columbia alone, there are 18,741 people living with a form of SARD (about 0.5% of the adult population). Individually, with few people having any one of these disease types, research has been difficult and limited. However, studying them together better represents the disease population, making research easier and leading to better quality information. Now, there is a greater understanding of the risks and health complications linked to these diseases. Also, we know the number of people living with SARDs and the associated healthcare costs, including those caused by hospitalizations, outpatient and doctor visits, and medications. Having many features in common, all SARDs are chronic autoimmune disorders that lead to inflammation and organ damage. Inflammation is caused by the body’s immune system attacking and destroying its own tissue. Depending on the specific disease type, white blood cells can invade muscles, skin, internal organs, arteries and blood vessels. Being systemic diseases, they can affect the whole body. The complications they share include cardiovascular (heart) disease, osteoporotic fractures, kidney failure, infections, and cancer. Except for vasculitis, SARDs mostly affect women. They can occur at any age, though each type has a window during which it will most likely arise. Sometimes other conditions, such as Ray­naud’s phenomenon (blue hands with cold), can go along with the SARDs. There is no cure for any of these diseases but they can be controlled, especially when they are diagnosed early. There is some evidence to suggest the diseases are genetic (inherited), but which genes and how they are turned on or what role they play is not well understood. In some types, it is possible that a viral infection could trigger disease. Because SARDs more typically affect women, it is thought hormones may be involved. Researchers still have a lot to learn before they will know for certain what causes these diseases. Studying them together is getting them closer. Canadians living with SARDs face significant challenges getting a timely diagnosis and accessing appropriate treatment, leading to more doctor visits, increased hospital stays and higher medication costs to the healthcare system. While the exact cause or causes of lupus remain unknown, there are a number of factors researchers believe may trigger the disease, either alone or in combination with one another. These include genetics, smoking, hormones, certain types of antibiotics and other medications, prolonged and severe stress, viruses, and sun exposure. About 90% of those diagnosed with Sjögren’s syndrome are women. It tends to strike around middle age, usually between the ages of 45 and 55. In Sjögren’s syndrome, moisture-producing glands are attacked by the body’s immune system, so the most common early symptoms are dry eyes and mouth. Since the dryness can also be due to aging, hormonal disorders, menopause, and certain medications, Sjogren’s syndrome is difficult to diagnose. The disease can also affect the joints, muscles, and organs including the liver, pancreas, kidneys, lungs, stomach, and brain. Half of those diagnosed with Sjögren’s syndrome also have another form of arthritis, like lupus, scleroderma, or rheumatoid arthritis. Combined with another disease, it is called secondary Sjögren’s syndrome. Primary Sjögren’s syndrome is the name for the disease when it occurs on its own. 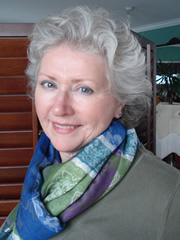 Marilyn Mulldoon, with the Sjögren’s Society of Canada, writes about her experience of living with Sjögren’s on the Arthritis Research Centre of Canada’s website. Onset most commonly occurs in one’s 30s to 50s and is more likely to strike in women. Remission (symptom free period) is rare, but muscle strength can be improved by treatment. When polymyositis comes with a skin rash, it is called dermatomyositis. Dermatomyositis can also affect children, usually between the ages of 5 to 15 years. In adults, it more often shows up starting in the late 40s until early 60s. Besides the symptoms listed above, when children get the disease they are more likely to have hard deposits of calcium under the skin, GI ulcers and intestinal perforations. 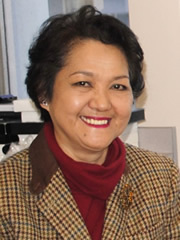 Joyce Ma, member of the Consumer Advisory Board, writes about her experience of living with polymyositis, on the Arthritis Research Centre of Canada (ARC) website. This very rare SARD that mainly affects men is made up of around 20 different disorders. Examples include: Behcet’s disease, giant cell arteritis, Takayasu’s arteritis (this one usually occurs in young women), Wegener’s granulomatosis, polyarteritis nodosa, and polymyalgia rheumatica. Age of onset depends on the form of vasculitis, though as with most types of arthritis, it can occur at any time. Sometimes vasculitis occurs without any known cause and other times it can be caused by an underlying disease, such as infection, another immune system disease, an allergic reaction to a medication, or a blood cell cancer. Raynaud’s phenomenon is a condition in which there is an exaggerated blood vessel tightening in response to emotional stress or to the cold, restricting blood flow to certain areas of the body, usually the fingers, but sometimes the toes, ears, or the end of the nose. Affected areas generally first turn white and then may become blue. They become red as they begin to return to normal. Raynaud’s can occur on its own or with other types of arthritis. When it is associated with another disorder (such as lupus, scleroderma, or vasculitis), it is secondary. When it occurs alone, it is referred to as primary Raynaud’s phenomenon and does not increase the risk of suffering SARDs. Scleroderma affects about 20 people out of 100,000 and occurs in about four times as many women than men. It tends to develop most often between the ages of 45 and 65. Scleroderma—the word means “hard skin”—causes the body to respond to an attack from its immune system by producing too much collagen. This can happen anywhere on the skin and on joints. There are two main types of the disease: systemic and localized scleroderma. The systemic form is more serious. As it progresses, symptoms and complications may include muscle weakness, digestive system problems, Sjögren’s syndrome, reduced dental health, kidney and lung problems. Joint pain and stiffness, particularly in the hand joints, is almost always present at disease onset. Raynaud’s phenomenon is also a very common first symptom of scleroderma and is thought to occur in 98% of cases. Besides the usual suspected causes, some researchers believe that frequent exposure to solvents and heavy metals—for example, due to working in manufacturing or refining plants—may increase the risk of developing scleroderma. Melissa Patton, board member of The Scleroderma Association of BC, writes about her experience of living with scleroderma, on the Arthritis Research Centre of Canada’s website. Pregnancy: What are the concerns? With any of the SARDs, if the disease is active, pregnancy can worsen the symptoms and put the baby at risk. The good news is that when the diseases are well-managed and in remission for at least 6 months, any pregnancy or birth risks associated with them are very small. If you wish to get pregnant, it is important to inform your physician or rheumatologist so they can monitor you and your baby. Also, they may need to adjust your medications, since certain types should not be taken during pregnancy and while breastfeeding. Use of hydroxychloroquine, a common medication used in SARDs, is safe during pregnancy and lactation. 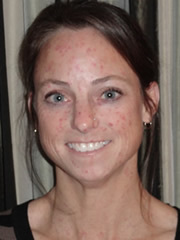 In rare cases, women with lupus or Sjögren’s syndrome may pass autoantibodies to their baby, so he or she may be born with a mild malar rash (the characteristic butterfly shaped rash associated with lupus in adults), but be otherwise healthy. Called neonatal lupus, the condition usually disappears by the time the baby reaches six months. In very rare cases, the infant may have developed congenital heart block in utero (in the womb) and need surgery as soon as they are born. Q. What makes SARDs difficult to diagnose? A: SARDs are difficult to diagnose because they are rare and so most currently practicing physicians did not receive the training to diagnose them. Currently, SARDs are included in medical training so younger doctors are more familiar with SARDs; however, they only see the diseases about once per year, so they do not necessarily have the skills and experience to consider SARDs and make a diagnosis. Furthermore, symptoms vary so much that they are not usually the first to be considered. Because the diseases look so different among patients, their individual symptoms could fit any number of diagnoses. For example, an unexplainable constant fever could be thought to be a viral infection or cancer. Another example is when a younger person has a stroke. The doctor may not realize it could be caused by a SARD, such as SLE, so may not ask for the right tests to find out. Other times, a young individual may have blood in their urine or high blood pressure, but the doctor may never consider that these symptoms could be due an inflammatory disease, and again, they would not ask for the right tests. Sometimes symptoms develop slowly over time. They may start with a fever, then arthritis may develop, and then finally the kidneys may become inflamed before the patient accumulates enough criteria to lead to a diagnosis of a SARD. It is key that clinicians start considering these other possibilities, but this may take time and training. Also, patients may have difficulty describing what is happening to their bodies. Or, since fever does not usually require medical treatment, they may take over-the-counter medications instead of going to their doctor. Q. Do people with rarer forms of arthritis feel more isolated? A: Yes. They do. Since there are very few cases, it is hard to find, or create, a network that provides resources for people with SARDs. There are a lot more social networks and support groups for more common diseases like rheumatoid arthritis and osteoarthritis. Because of this, recently diagnosed patients do not know where to go and feel isolated. Sometimes people are afraid of getting fired from their jobs or being treated differently, or simply do not know what to do, so this may even hold them back from seeking care. Q. What advice would you give to someone who is first diagnosed? A: First, do not panic. It is very common to see people get scared when they hear their diagnosis, especially if they have only heard outdated information. For example, five decades ago lupus was fatal (95% diagnosed with the disease died within 5 years). Now research has changed that and outcomes are dramatically better. With proper diagnosis and early intervention, people survive up to 20 years longer in 80% of cases. Second, get the support you need. Seek help from your family, friends, and healthcare providers. If you do not have any of those resources then ask for a referral, especially if you are experiencing emotional distress. Specialists that are very helpful include psychiatrists and rheumatologists. If a rheumatologist is not available, internists (internal medicine specialists) are also very useful because of their familiarity with SARDs. Finally . . . seek care. Do not feel embarrassed or ashamed of your disease. Anybody of any age can have it, so don’t be afraid to get help. Learn as much as you can about your disease. Rely on good sources that are not sponsored by companies that sell cures. And, be aware that early diagnosis improves outcomes, so take action.